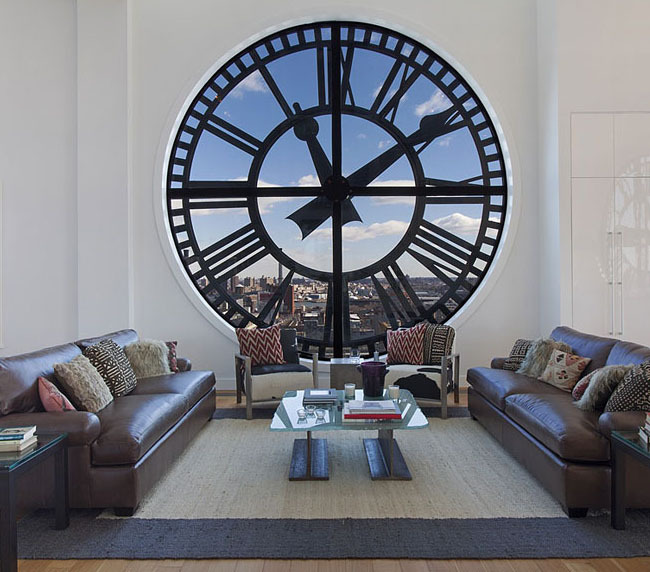 At the top of a former cardboard box factory built in 1915, within a clock tower overlooking Brooklyn and Manhattan, is one of New York City’s most remarkable residences. 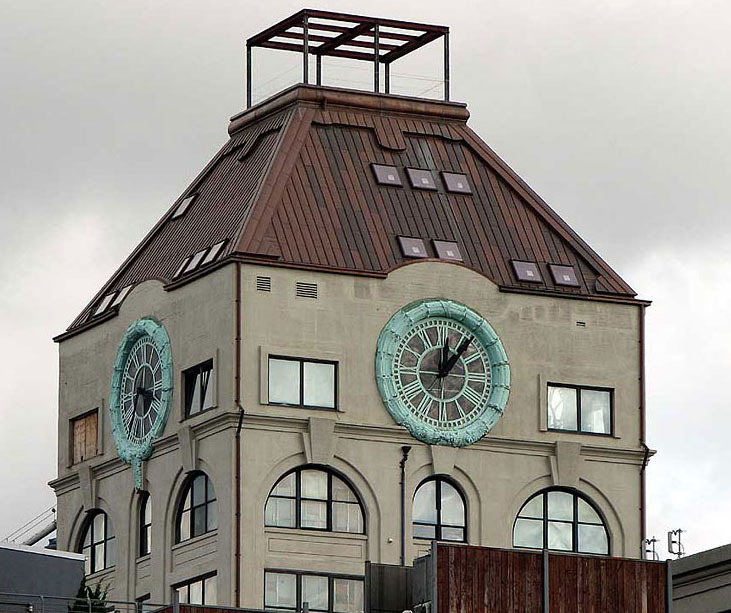 The pinnacle of the Clocktower Building is a three-story penthouse measuring over 6,800 feet, with four 14-foot glass clocks – one on every wall of the top floor. 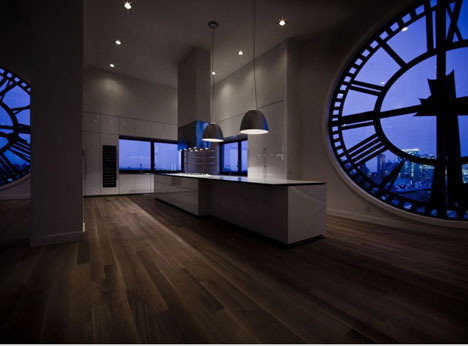 The clocks offer massive, unparalleled views of the city in all directions. 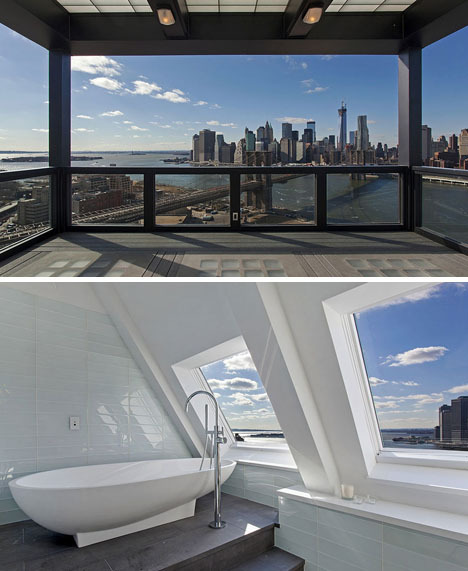 Additional windows provide a look at the Manhattan Bridge to the Statue of Liberty from a soaking tub. Or, simply go on the sky roof cabana and enjoy it in the open air. 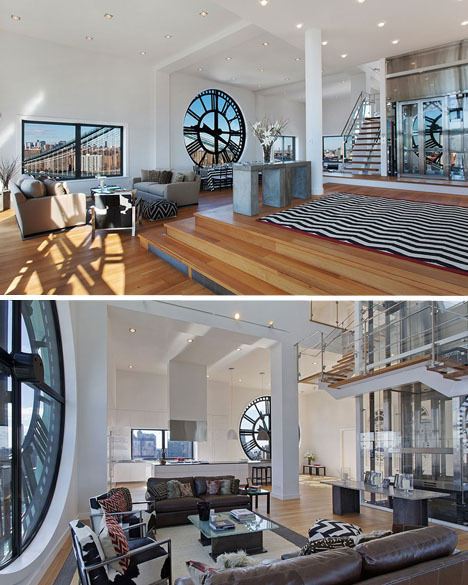 Transformed from its industrial past, the penthouse features a ceiling that extends from 16 to 50 feet in height, as well as a glass-enclosed, three-story elevator running up the center of the space. 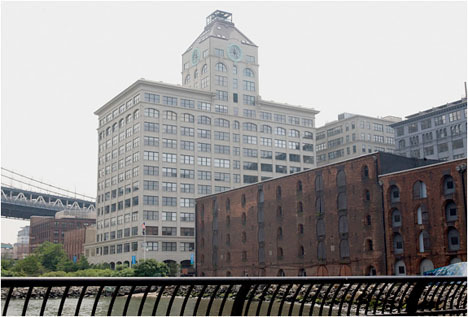 It entered the market in 2009 for $25 million – the most expensive apartment on record in Brooklyn by far – and has now been lowered to $18 million. 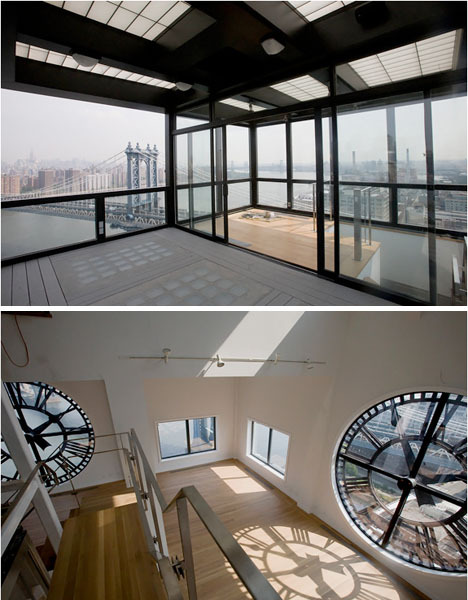 For a while, as it went unsold, the clock tower penthouse was put up for rent for a mere $50,000 per month. It’s also been offered up for various special events while it sits on the market, including a dinner for Esquire Magazine.